Veriditas - New to the Labyrinth? Walking the Labyrinth quiets the mind, opens the heart and grounds the body ... 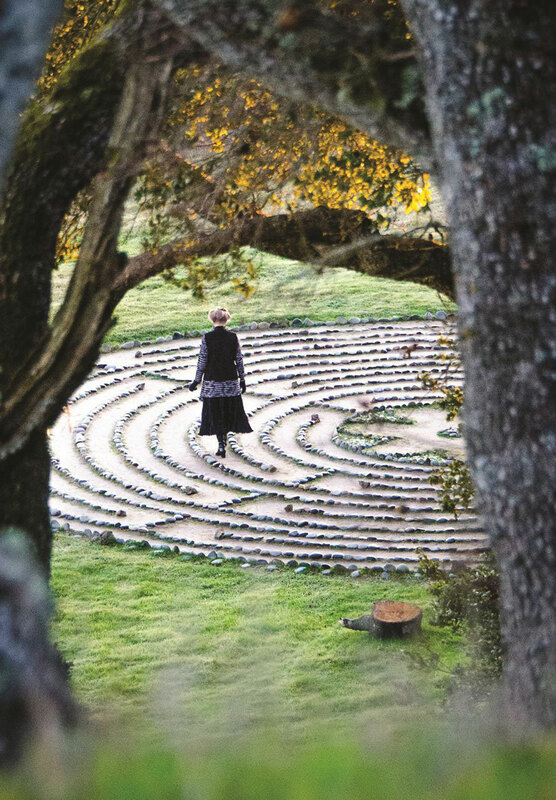 Some find answers to questions long asked, some find healing, creativity, a sense of wholeness ... What will you find on your labyrinth journey? Children enjoy the labyrinth and we ask that parents supervise their youngchildren so all may enjoy the meditative aspects of the walk. To download a handout with guidelines for walking the Labyrinth, please click here. Labyrinths are currently being used world-wide as a way to quiet the mind, recover a balance in life, and encourage meditation, insight, self-reflection, stress reduction, and to discover innovation and celebration. They are open to all people as a non-denominational, cross-cultural blueprint for well-being. The practice of labyrinth walking integrates the body with the mind and the mind with the spirit. They can be found in medical centers, parks, churches, schools, prisons, memorial parks, spas, cathedrals and retreat centers as well as in people's backyards. Go to our world wide labyrinth locator to find a labyrinth near you!